Is it usually a bad set of wires? If your vehicle's stereo system is giving you the silent treatment, you don’t have to put up with it or go running to the dealer—at least not immediately. Oftentimes, the fix is as simple as tracing some bad wiring and then replacing it. Here's what you can do to test your wiring or see if your amp or head unit needs to be replaced. If the latter, at least you'll be able to give your mechanic a head's up and avoid the extra expense of their diagnostics. 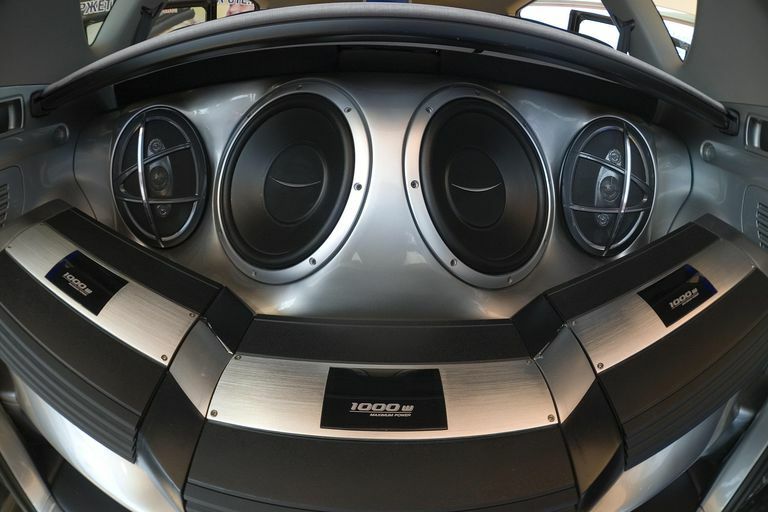 Automotive stereo systems have come a long way since the days of a single speaker mounted on the dashboard that connects to an AM radio. Sometimes you probably wish you could go back to those simple times, especially if your 10-speaker audio system has failed you. But even today's high-tech systems can be tested. As long as the main unit is powering up, you can move down the line to the external amplifiers. If your car doesn’t use any amps in the system (check your repair manual to find out), you can move on to the speaker testing step in stereo troubleshooting. If you do have a centrally functioning external amp on the next step down the line, or you have remote amplifiers that mount at each speaker, you need to test your amp to see if they are getting power. An amplifier that isn’t powering up will not function and won’t let any music pass through to the speaker. The first task is to locate the amp, which might be completely buried under a seat, in the trunk, under the dash—you name it. Your repair manual will help you figure out where to find your amp or amps (you could definitely have more than one). Once you’ve located the amplifier, you’ll need to consult your wiring diagram to figure out which wires to test for what properties. Find the wiring harness that contains the power, ground, and remote wires. Some amps have one plug on the side, others have two or more. Using your wiring diagram, find the main power wire, usually marked "12V+" on the diagram. This wire may be either constantly hot, or hot only when the ignition is on (known as "switched"). Turn your key to the accessory position so that you can be sure you're testing a wire in its operating state. Using a multi-meter or a simple circuit tester, test this wire to see if it is hot. If it's not, you'll need to start tracing wires back through the harness until you find either a loose plug or a break in the wire. This is not fun at all, and hopefully, you will never have to go there. Next, test the ground. This is easy to test, but you need to be sure you have a positive lead for testing purposes. Since you just tested your main power wire, use that. Touch one end of your test leads to the known power wire, and the other to the ground in the harness. If the ground is not good, it's easy to run a new ground wire to save the day. Testing the remote wire is similar to testing the hot lead, or main power wire. The trick here is to be sure the radio is on as this is what tells your amp to power up. If the remote lead is supplying power to the amp, it's time to check the output side of the amp by testing your speakers and speaker wires. If you are getting nothing there, you'll have to go back to test the input signal (more difficult), and you'll discover whether you need to replace the amp or the head unit.